Horses are important in Mongolian culture, which has more than 300 words for horses and a further 200 just for their color. Horse-riding is back in the Inner Mongolia Autonomous Region. Burenjargal generally rides a horse instead of a motorcycle, restoring the centuries-old tradition of his ethnic Mongolian people. “Riding a motorcycle was once quite fashionable on our grasslands. 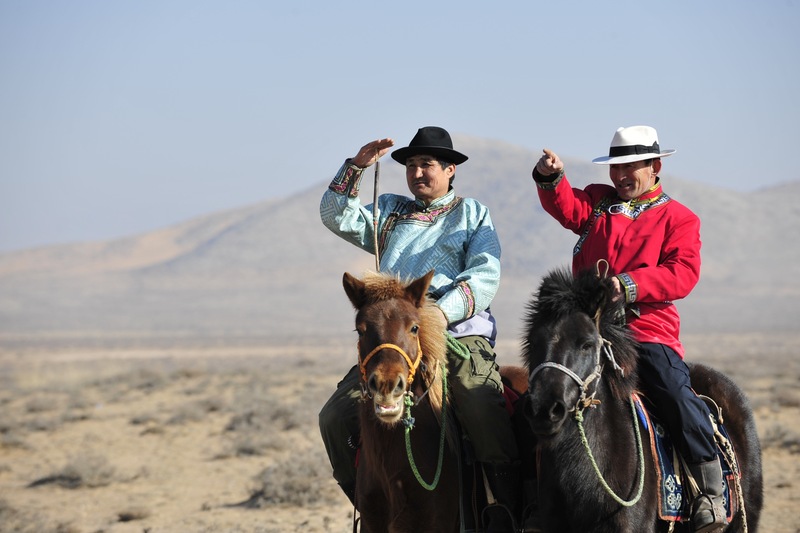 But now horse-riding is back,” says Burenjargal, 34, a Mongolian herder in Bolgen Sumu on the outskirts of Xilinhot city in northern China’s Inner Mongolia Autonomous Region. Burenjargal has loved horse-riding since childhood and now raises 60 horses on his grassland. Last year, his revenue from selling horse milk, and tourism, reached 200,000 yuan (US$29,000). A traditional stringed instrument that looks like a horse’s head, a matouqin, hangs in Burenjargal’s house. And he has many other horse-related ornaments. However, the number of horses owned by herdsmen in the region has fallen from 2.4 million in 1975 to less than 700,000 in 2007. “In the past, breeding horses was not profitable. During my childhood, horse-loving families kept one or two horses. Others just sold their horses and bought motorcycles and cars. In 2011, the region set up three breeding bases for Mongolian horses with a total investment of 18 million yuan per year to preserve Mongolian horses. Such protection efforts have seen the number of horses in Inner Mongolia increase 25 percent in a decade, reaching 880,000 last year. Horse-related events are also increasing. Altanoqir, another young herder in the same township, has won a dozen awards in various horse-riding contests. He lives with his parents, who are raising 300 horses. The family plans to host tourists from big cities this summer. “Despite the increase, more effort should be made to strengthen the protection of Mongolian horses,” said Manglai, a Mongolian horse researcher.